Originally published by the Bolshevik regime in Moscow in 1925-26 in 7 volumes, Padenie Tsarkavo Regima, a shorter single volume of some of the interrogations selected from the complete Russian work was published in Paris in French in 1927. The translation from the French was done by Rob Moshein. President: You are not being questioned either in the capacity of an accused nor in the capacity of a witness, we require from you only some explanations which, after some reports which we have at our disposal, you are in a position to furnish us. Are you clear about your position from a legal viewpoint? F. Since 1893, when I was named adjutant to Count Vorontzov. 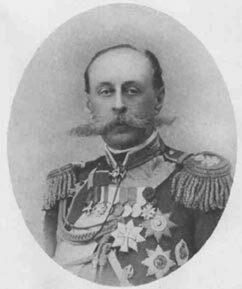 In 1897, Count Vorontzov left his post and it was I who held it at all times afterward. Pres. Even with Alexander II? So you had, independent of your position, good personal relations with the ex-Emperor? F. Good personal relations with who? Pres. With the Emperor who abdicated. F. He never asked me my advice about abdicating, and if he had asked me, I never would have advised him to do so. Pres. And what would you have advised him to do? F. I seems to me that in similar moments he should have done everything possible to mediate between one side and the other. Often I had told him that, for the love of God, to chase out Rasputin; His Majesty replied with this: "Count, you have said more than once that you have quite enough to do without being involved in the affairs of politics, so do not speak on that subject, that is my affair." Pres. You admit to having had good relations with him; is it perhaps possible that you had given the Emperor some advice concerning questions of the State, not at the times of making the reports you gave, but during your other meetings? F. Never would I have permitted it and the Emperor would have not either. The Emperor did not like to be addressed first without his having already first engaged you and I would not really have been of any help to him anyway, not being up to date myself. I never went to the Council of Ministers, I did not even know where they met. Never did he update me about his conferences, since I always said that already had my own tasks, I did not wish to be involved in the affairs of others; I do you wish that I answer you, at the time I was ignorant of everything? Pres. But occupying on of the highest positions in the Empire, you would nevertheless have had your own ideas about political developments and about the political tendencies of the State? F. No. For myself my work began at 10 in the morning, and from morning until evening I never ceased to be busy, not by questions of the State, but with others equally important for the Emperor, since I directed all of the ministries of the Court and admitted no one; I always asked that no one interfere in that, raised my hands. I never involved myself in the affairs of others, so I asked that that be reciprocated. Pres. You saw the ex-Emperor often? F. I saw him the days of the reports. I began by having the reports twice a week, Tuesday and Saturday, but later, as I was obliged to go to Tsarskoe Selo, I had asked to make my report to the Emperor only on Saturday. I arrived every Saturday and at 11 o'clock I made my report to the Emperor. Afterward the Emperor always said..."Do you want (this was his usual expression) to lunch with us?" I said: "Most happily." Pres. And the other days you attended the luncheons and dinners of the Emperor? Pres. During the journeys of the Emperor, you always accompanied him? Pres. So, during this last year, while the Emperor was always absent, you were with him? F. I was in the train, in my compartment, I was busy with my work and I went to the Emperor when I had a report or when some question concerned the trip. Really to say, my position was that of a Minister of the Court; the Minister of the Court is a manager - I administered over his properties. Pres. What did you think about the war? F. That it was a great tragedy. Pres. But did you not find that it was necessary to continue it? F. This I can not say to you, since I was not informed about all of the negotiations. Who had commenced it - is it our Emperor or the German Emperor - I do not know; so as to judge such a thing, I like to be fully informed. Pres. So, you had never given the ex-Emperor advice touching upon questions of the war and peace? F. I would never have permitted it, not having any opinion about that. Pres. That is what should have been, but perhaps it was in reality the opposite, that is to say that in these questions had had to particularly advise the ex-Emperor? F. Never. The Emperor was opposed to it. He told me often "That, dear Count, is a question which does not concern the Minister of the Court." I replied: "That is true, Your Majesty, I have said a word on it, but I do not have an opinion." I said to the Emperor, as I am saying to you, that I did not want to have an opinion, not having been informed. Pres. It happened then sometimes that you were to give you some advice or another to the Emperor and the Empress would stop you cold? F. Why put myself into such a situation? I would not interfere in anything. Pres. You do not ignore that not only in the public and the people, but even in those who were close to the Emperor, they thought that you were a partisan of the german party? F. No, well that is to say yes, I was told of it. I always declared that those who made up these tales were making up the most enormous lies. I was far from all of that. I always told the Emperor that there should not be such a large number of Germans at the Court. He responded: "So, why then do you keep them here?" I said to His Majesty that they were always the most suitable people. For example, Count Benkendorff; how I might have said to him: "You have served here all your life and now you must leave because of the war." That would not have been an affront to him? You must remember one thing, it is that I am not a German. Our family is Swedish. My properties are in Finland. We came to Russia under Peter the Great. One of my ancestors was taken prisoner at the time of the war between Russia and Sweden, I do not remember anymore which generation that was; he was married in Archangelesk, during that time and he stayed in Russia, became a Russian subject, and all of us have served in Russia. Pres. You thus called the Emperor's attention to the Germans who surrounded him? F. Yes. I was polite with them... but I never had any intimate ties with them, because those who I was intimate with were the old people; they are all dead now for the most part. Pres. Can you not explain for us how this opinion was formed of you, if there were facts which gave rise to it? 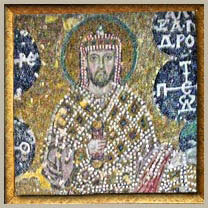 F. It was created by those who were not kindly toward me, who were jealous of my unique position; it is true that I was the closest to the Emperor and that the Emperor said: "I love you like my second father, you are always in the same mood, always the same and I know that I can count on you." This is why I abstained again more strictly on giving him my advice. I left that to others, myself I did not do it. Those people stripped of all kindness jealous of my closeness with the Emperor, told whatever came into their heads. That is not true, it is false. Pres. Do you know if immediately after the abdication the courtiers and military were plotting against you. Had they called for your dismissal, your arrest? F. I am unaware. I was sick then and am even ill now. The life that I have - it is the end for me. Pres. Count, what do you know of the influence of certain vile persons on the ex-Emperor and ex-Empress? F. Never did I ever see Rasputin, but I had heard it said that he was someone who was extremely dangerous. Pres. How had you arrived at this opinion about him? F. They spoke of him to me. Forgive me the expression, but I heard it said that he was a worthless good for nothing wretch. I never had the least wish to meet him. Perhaps I was wrong. But that is how I took him to be. Pres. But you were unaware that this worthless man had influence over certain close intimates in the Court of the ex-Emperor, over the Emperor himself, over his wife? F. That is to say that is was Anna Virubova, daughter of Taneyev, who had the influence with his wife and who believed in this Rasputin. I told her: "For the love of God, finish it, all will go better for it, you do the greatest wrong to the Emperor and the Empress. They say that he is a worthless good for nothing." - "If you listen to him!" - "I do not want to either listen to or see him." And really I never did see him. Pres. You are unaware that, taking advantage of their personal influence, certain persons made policies harmful to the people to aid Rasputin and by the intervention of Virubova and the ex-Empress? F. I heard it said that Virubova had done much harm. I had told her so then as much as I was able to. Her father, I had known him for a long time, we had done our military service together. I said: " Enough, this is not good, you are doing a great wrong to the Emperor and the Empress, all the while saying that you are devoted to them unto death, your politics are false." Pres. You wished to say by this, that certain persons who desired to have influence in politics took advantage of this means? F. That is my opinion. I may be mistaken. Pres. Who thus then at Court engaged in politics by means of Rasputin? F. I stayed far away from all of that since that revolted me. It is quite certain that I never even wanted to listen to anything even said about such filth. The military circles were also hostile towards me. It was a sin which they had committed. To whom had I done anything wrong? Never to anyone. Pres. Try to recall and to tell briefly about the events which preceded the abdication and those which followed. At what date before the revolution had you gone to General Headquarters? F. I must tell you that since I have fallen ill, it has greatly affected my memory. I am in such a nervous state that I can not tell you, I do not remember more. Pres. You left Tsarskoe Selo with the Emperor to go to GHQ several days before the end of February. What were the reports which came to you from Petrograd? F. To me? Why, none. Pres. I mean to say to the Court, to the Emperor himself. F. The Emperor told me: " It appears that they want to have you arrested. That would be a great insult, if in my house (I remember that he specifically did not say the palace, but in my house) - they arrested someone, and above all my Minister of the Court. You will render me thus a great service and leave for Petrograd." Pres. This, Count, was after the abdication and the revolution. F. No, it was before. Precisely, it was the Emperor and he did not want me to be arrested in his palace. Pres. What did you do? F. I can not tell you, as I no longer remember. I left and when I passed through Mogilev, a gang entered my train car; one of the gentlemen told me: "You are under arrest." And so I was arrested. Pres. Count, your memory betrays you. We want to know what happened in your presence the days which immediately preceding the abdication of the Emperor. For example, what happened on Monday February 27 following the disturbing news coming from Petrograd? F. Me, I was not worried. I asked the Emperor for permission to stay, and not leave. Pres. You were perhaps worried not for yourself, but for others? F. You know that this was nothing more than Court gossip. Pres. I am not speaking about Court gossip, but the reports which you had been sent by the authorities. F. They did not send them to me. Me, I was aside from that. Pres. Do you remember the General Ivanov received the order to march on Petrograd to defeat the peoples' revolution? F. I do not know. This is the first time I have heard that mentioned. Pres. The evening of February 27, did there take place, in the presence of the Emperor, Alexeiev, you and Voiekov, a conference in which the ex-Emperor wished to understand the opinions of his intimates about these events? F. I am unaware, or perhaps my age makes me get things mixed up. I do not remember that there had been such a conference in my apartment. Pres. No, not in your apartment, but in the GHQ, or in the train maybe? F. I do not remember, I tell you in all sincerity, I do not remember. Pres. What opinion did you have about these events? The storm was approaching. It is natural that one would insist that was necessary to resist the people. F. They never asked me anything about that matter. I told you, never did I involve myself in affairs of the State, you must believe me. Pres. Perhaps it was not a conference, but a simple conversation. Think back. In your presence did the question not ever arise to know if it was necessary to consent to the desire, attributed to Rodzianko, to create a responsible minister? F. I can only tell you one thing, that is that the Emperor never spoke to me about it. He told me only: "Look here, that fat Rodzianko again writes me these absurdities to which I will not even bother to answer." When I wanted to know what he had said, the Emperor replied: "This does not at all concern the Minister of the Court." That is what he always said. Pres. Would it thus be possible that at the moment of these events so very important for Russia and the throne, for you to have wanted to have been so shut up in the restrictions of your Ministry of the Court? F. At that moment, the Emperor would not listen to me, what should I have done? He said only: "This does not concern you at all." Pres. When there was the question of the demands of this same fat Rodzianko, do you not remember if N.N. Voiekov sought to pursuade the Emperor to not give in to Rodzianko, to not receive him? F. That is possible. It was maybe in my absence. I never then spoke to Voiekov, since we had differences of opinion on that. Pres. In what then was it in which consisted your differences of opinion? F. It was that he, for example, did not want that Rodzianko be received, while I said: why not receive him, he must be received. But they did not ask my advice. Rodzianko, I knew him for a long time. Pres. So then, which? Give in or not give in? Pres. That is to say, give in. F. I repeat, it was for him to decide, not me. My conscience would not permit me to involve myself in that which I was unaware. Now I have but one thing to ask: and that is when they are to leave me to die in peace. Pres. Count, what do you know about sending General Ivanov to Petrograd? F. I know nothing. What date did he give his resignation? I think that at the present he is no longer in command? Pres. At the time of that mission he was attached to the person of the ex-Emperor. He did not receive any other posting. F. Him, he was a good old guy, we often had discussions on many subjects. Pres. After that, you and the ex-Emperor you left GHQ for Pskov? F. I was not then still with the Emperor. I had already been arrested. The Emperor was arrested after me. Pres. He was arrested, but he had abdicated. You are unaware, I suppose, what led to this abdication? F. I do not remember. Pres. I want you to recall that you left the Emperor on March 5, and he had abdicated on March 2. So, in the course of the journey from GHQ to Pskov, you were together. F. No, surely that is not correct. I remember, because I was so struck by the words of the Emperor, when I said to him: "Your Majesty, I wish to go with you, permit me to return with you to Petrograd." He told me: "No, I ask you, leave now, because I have learned they want to arrest you. This will be an insult to me, if this happens in my house." I responded: "This makes me terribly sick, Your Imperial Majesty, to leave you at such a time, but I will leave today." That same day I left and was arrested at Mogilev. Pres. It is that during this trip, at lunches and Imperial dinners, they never spoke of politics, never discussed affairs of State? F. No, the Emperor did not like to discuss politics at table. It was always spoken of with the Minister who made his report. Pres. And during the promenades they did not chat about it? F. During the promenades...I could not walk. I never accompanied the Emperor on his promenades. The Emperor is a young man, and I am an old man, I am soon to be 73 years old, this is not for one my age...And the Emperor runs fast, like a horse. I rest, I am bored at home. I have developed a nervous malady, which has at present gone to my extreme limits. I have nothing left to tell you of interest. Pres. How do you explain that you intervened with Sturmer, the President of the Council of Ministers, so that Soukhomlinov enjoyed more comfort in the fortress, for them to change his cell, because of the declaration made by Mrs. Soukhomlinova that there were bed-bugs in his cell. F. That, I did for no reason, so that they did not make martyrs for the men. He is a scoundrel, it is a matter of conscience. If I saw him drowning here, most certainly I would help him out of the water. Can one say to me "Why save this scoundrel?" Why simply because he is a man. Pres. But Soukhomlinov was not at all drowning, he was arrested. Mrs. Shoukhomlinova complained of the bed-bugs in his cell and it was for that reason that you intervened for him. F. I don't know why it was addressed to me. Someone asked me perhaps. Pres. You do not remember that there was an attempt to place Soukhomlinov under the Court martial to avoid the gossip surrounding this affair? F. I took no part in that. In general I was not involved myself in but a few things in these last days. I was not in a state to do so. There remains nothing more than for me to prepare for death, my conscience at peace, nothing else. I can neither serve nor do anything else. Me, I am to be pitied as a man in my state. When I can do it, I always do the right thing, always help. Pres. Count, you must understand that your detention does not depend on us. You were arrested by the order of the provisional government. We want it to be made known to the Minister of Justice that we see nothing to block your release, however we ourselves can not release you. F. I understand. Only, that it does not worsen anything, that is, please God that my situation does not worsen more. I want to tell you only what it is like in there. Four people are assigned to me. My door is always open. At the door is a guard with a rifle and bayonet. He sits and watches me when I lie on my bed. All night I may not shut the door. When I dress, every detail of my toilet I must do in front of him, always in front of that man who watches me dress. Pres. Count, make arrangements for your wife and daughter to apply to the Minister of Justice. F. They have already done so. My wife has a serious disease of the heart and can not come to see me and me, I can not go see her. Why? What have I done? Pres. Count, you will have this. F. I beg you, prevent that it becomes worse. It will be difficult if it became worse. In general, the vulgarity of these men is terrible, they treat me so familiarly. Pres. Count, you must complain to their bosses. F. For the love of God, prevent my being transported to the fortress. There, I will not live fifteen days, I will die. Here is what they said: "Let's go you, listen, you see this is the spot where you have to walk. Why? Yesterday I was allowed to... - let's go, let's go, I'm not gonna have a conversation with you." I said: "Look here, a soldier who speaks like that to his general!" I who am an old military man...This does not revolt you? Pres, Sure, certainly. You have to tell this to their bosses and this will stop. F. I have told them, and nothing came of it. Pres. What hospital are you in? F. In the French hospital. Most regrettable for us, but the French doctors and the others there are all polite, while our own people are of unforgettable vulgarity. Pres. Count, we are going to inform the Minister of Justice. Count V.B. Freedericks was set free because of his advanced age, he died very shortly afterwards. This appears in the original text. Count V.B. Freedericks died in Finland in 1927. -R.M.